THE EXHIBITION IS AN IN-DEPTH EXPLORATION of a single aspect of minimalism. It could be, for example, an exploration of minimal ways of living or ways of thinking. I focused on a single architect whose minimalist aesthetic appeals to me most, and explore his work. I let the content drive the form of my project and its various components. Contribution: 100%. 로고부터 제작까지 모든 디자인 총괄. 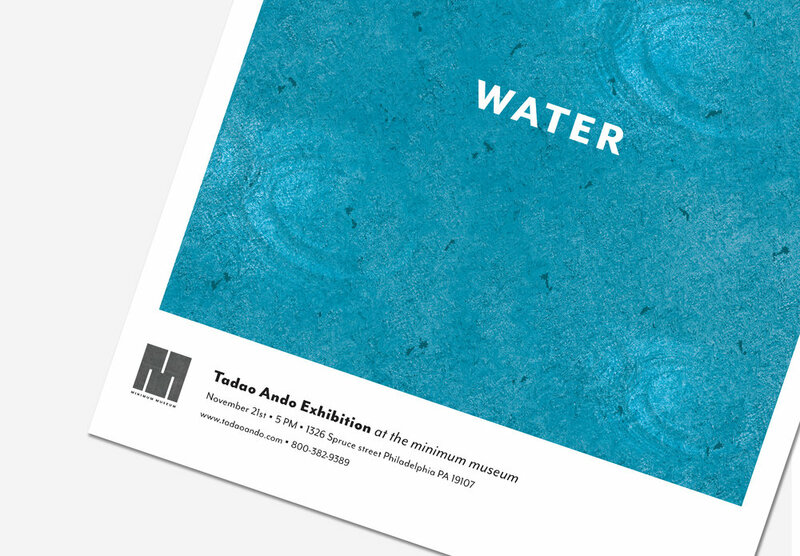 To create branding for the Minimum Museum, and exhibition branding and materials for Tadao Ando, a Japanese architect, to be shown at the Minimum Museum. The Minimum Museum seeks to explore the role of minimalism in our culture. The mission of the museum is to showcase an annual exhibition on a single aspect of minimalism. 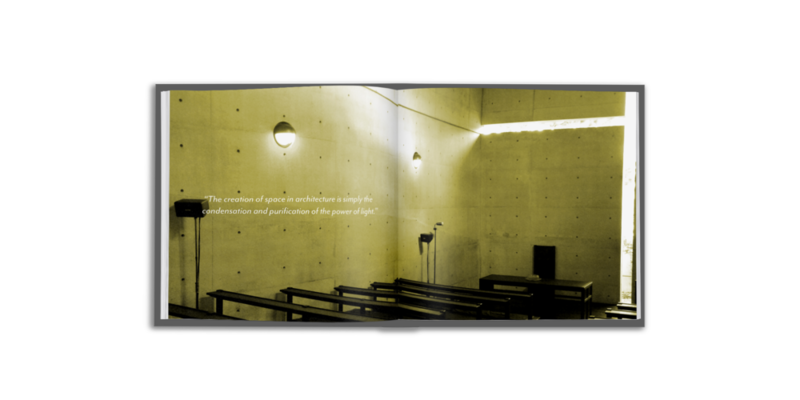 Concrete texture, the main material Tadao Ando uses, and the simple pattern are used in geometric shapes according to the shape of logos. 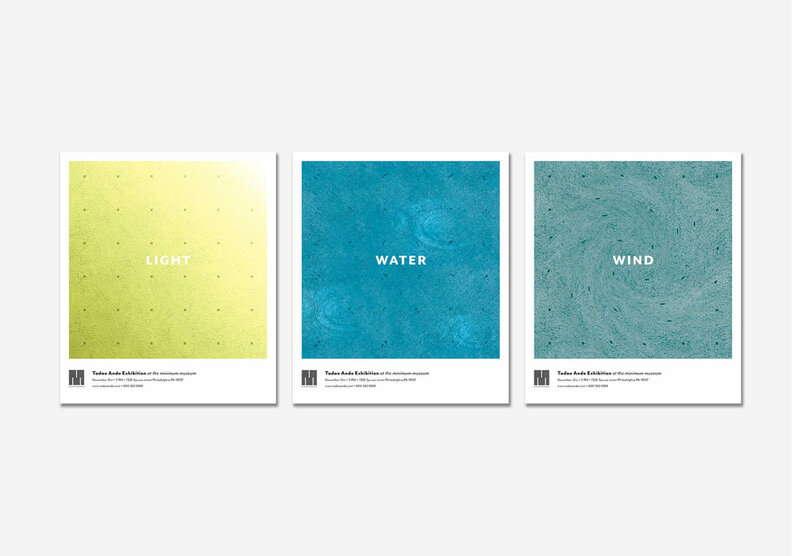 A series of three posters represent each element the architect uses in his structures, light, water, and wind. 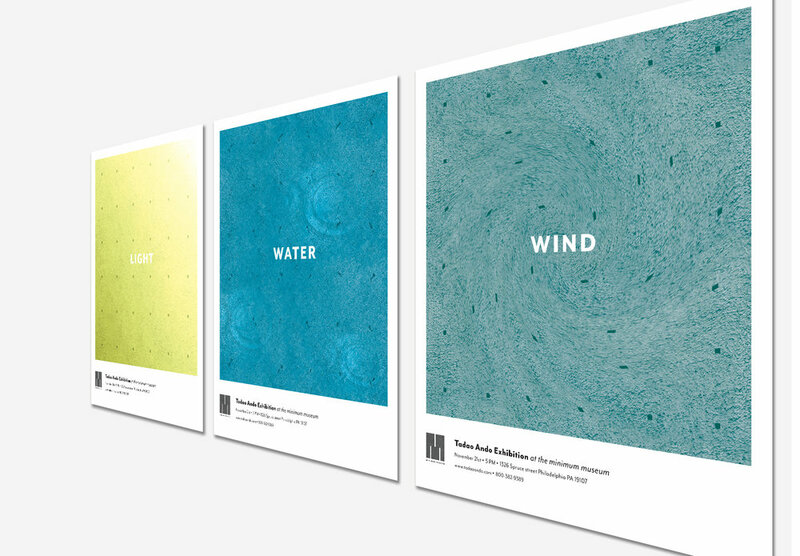 I designed each poster with the relative color and effect. Also basic information about the exhibition is available at the bottom of each poster, such as date, place, and contact. This is informational catalog about the exhibition. The catalog is a square shape to be consistent with the logos. Since it is a minimum museum, everything is designed as simple as possible. There are no extra color or style added so the visitors feel minimal about the whole exhibition. 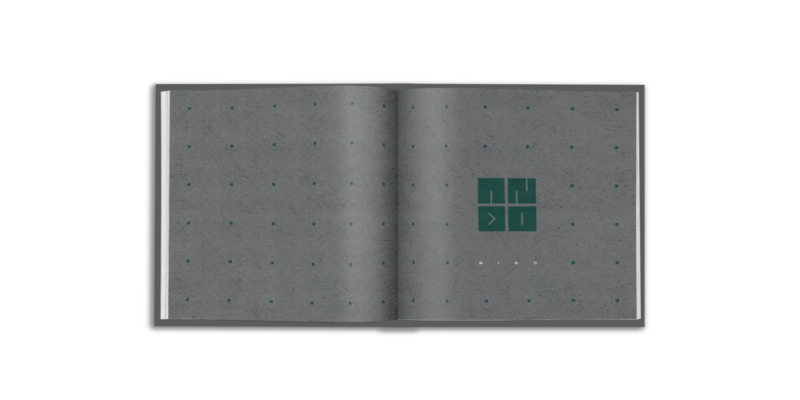 I designed a hard cover with architect’s main material texture(concrete) and signature pattern. 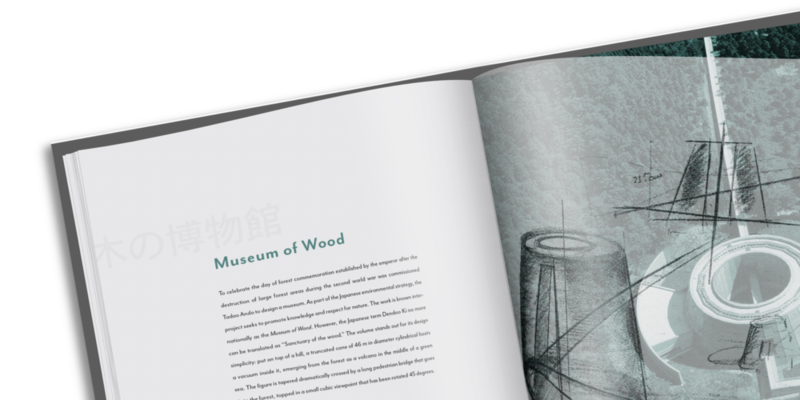 The catalog has four sections and each has its own theme and color according to the subject, architect, light, water, and wind. I used tracing paper for actual sketches the architect did between pages. Some pages only have pictures of the project to give a break for readers. And the last page of each section ends with quotes from the architect. 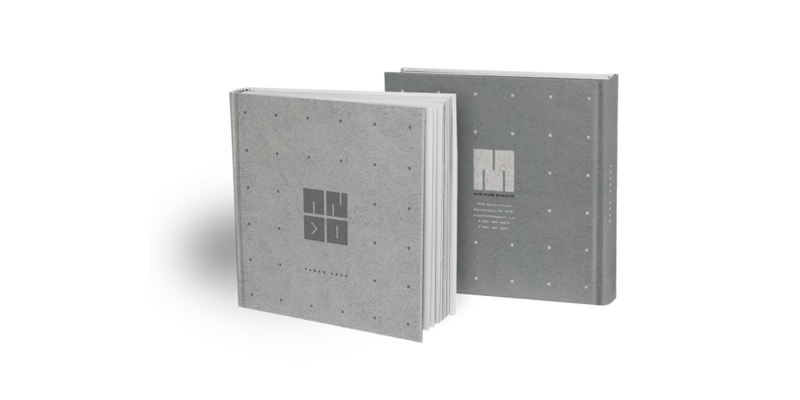 Simple and calm Japanese music is playing as dots of the architect's signature pattern form the logos. Purpose of this very limited promotional video is to evoke people's curiosity about the exhibition and the architect.